A learning circle (or Ceoltais) is a traditional style of learning tunes. 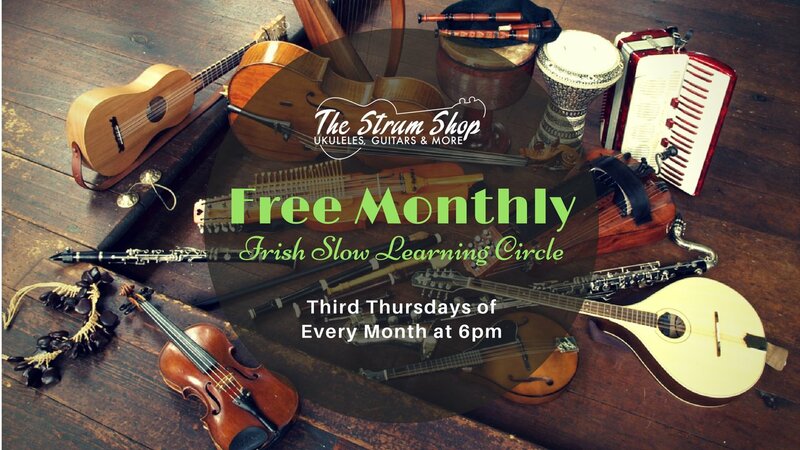 It offers the new-to-Irish-music person the chance to hear tunes played in the style and learn them without concern about making mistakes. In a Ceoltais, unlike a regular session, all players are encouraged to play every tune no matter the tempo. Feel free to make mistakes, ask questions, and experiment at trying to find the pitches and rhythms. Yes, “dots” (sheet music) are allowed, but the ultimate goal is to pick up new tunes by ear and perform by ear. How does a “Slow Session” work? Materials Included: Sheet Music - Contact Suzanna Marshall (suz_marshall_7@yahoo.com) to receive the sheet music.